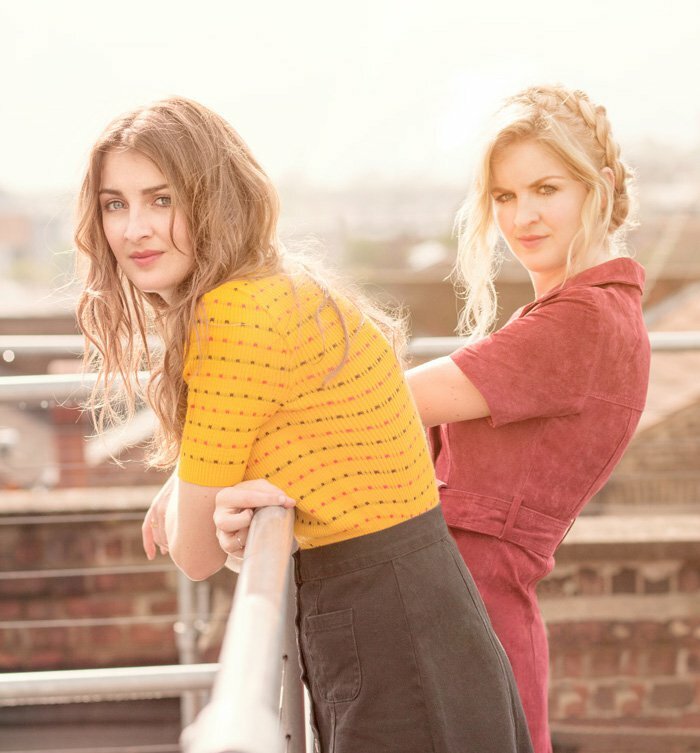 UK Country duo and twin sisters Ward Thomas have had quite the year, touring their number one album, playing various festivals such as C2C, Glastonbury, BST with Tom Petty and Stevie Nicks, Cornbury’s Big Finale and more. 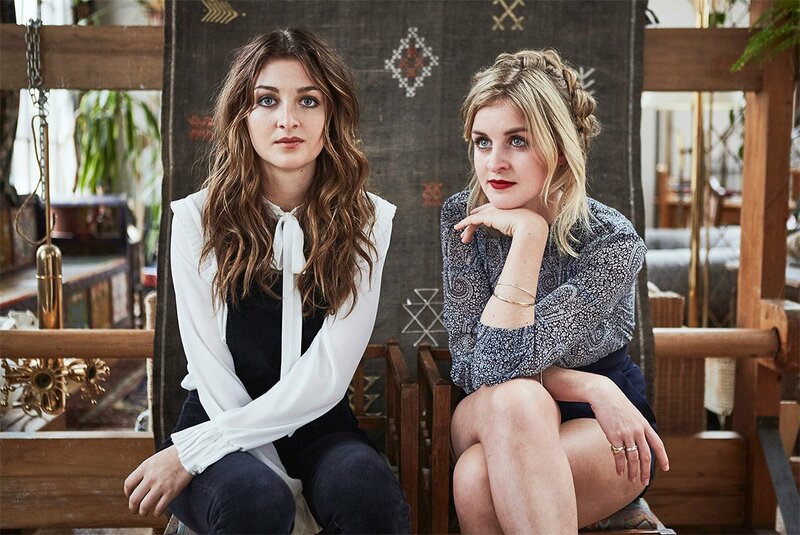 As if that wasn’t enough they deservedly scored a support slot on tour with one of country music’s finest musicians Miranda Lambert across the UK, Ireland and one show in The Netherlands. 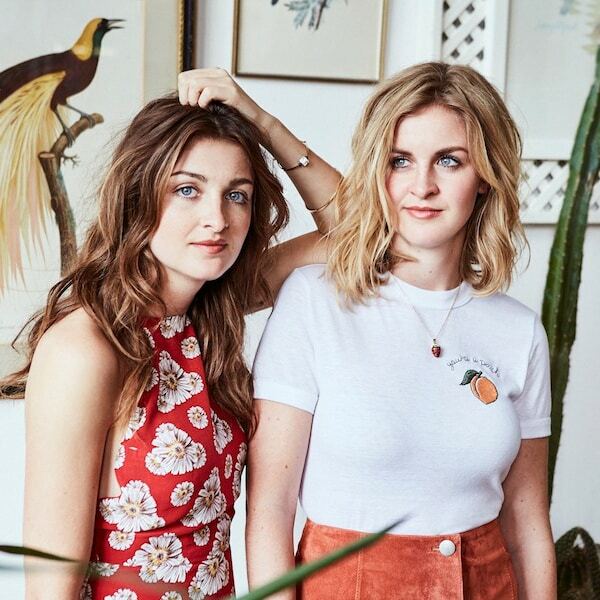 I caught up with Catherine and Lizzie to discuss their tour, festival madness and to predict what songs Miranda would start and finish with on her tour. Now that their tour with Miranda has come to a close, did any of us predict correctly? Hey girls, how are you? I haven’t seen you since C2C. 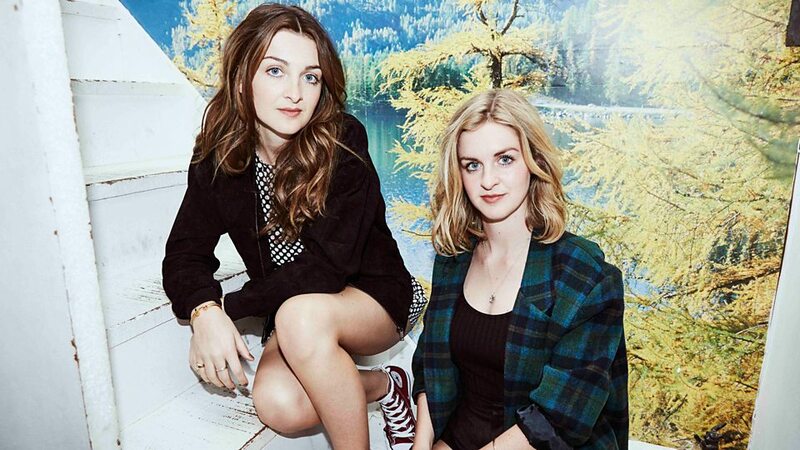 Festival season is upon us and you have just played Cornbury and now BST. How was Cornbury for you? Lizzie – Oh, it was amazing; we loved it. It was one of our favourite performances, because the audience were so up for it, was amazing. It was the last one. Catherine – I know. I think that they will definitely do a kind of version of it, maybe on a different site. I feel that they can’t just end it. We could all just turn up on the field and start playing music, ha! Lizzie – Ha, yes! Recreate Cornbury Festival! It was so emotional and in a beautiful way, I shall miss it. Catherine – Same – and this year was great, Bryan Adams headlining. Yes, he was fab. Did you watch him? It was amazing that he brought Twinnie on stage with him. Catherine – That was so cool – I didn’t know that was going to happen. She hinted something was going to happen but I didn’t read my message till after the show. Bryan was watching Twinnie’s set in the Café Nero tent and my friend and I were pretty much next to him – and didn’t notice, haha! Lizzie – I think I saw him in the crowds at one point. Lizzie – Wearing sunglasses and a cap, but I thought, nah! I bet it was him. Did you see any other acts than Bryan? Lizzie – We saw Tom Chaplin (lead singer of Keane). Catherine – Scouting For Girls were on the other stage and everyone made a mad dash for them. They are still so popular and were amazing. Lizzie – He has the purest voice and it was so funny, because he was wearing a glittery jacket like Catherine. Catherine – Yeah, it was like he copied me, ha! So you just wrapped up your Cartwheels Tour last month. How was that? Catherine – Yeah, it was so sad that it was over but we are looking forward to the next step now – although I feel like it hasn’t ended, as we still have festivals and are still on the road. Then we have our tour with Miranda Lambert. I will be going to three of those dates, I cannot wait. Lizzie – Oh, cool. She is amazing, we love her – she is so great. Catherine – I think she is going to close the show with Tin Man. We always have predictions before we come and see a live show and we went and saw Adele on her last show. Oh, you were lucky to go before she cancelled the rest. Catherine – I know, we were so lucky – but we had a bet that she was going to open with Hello and close with Someone Like You – and I got it right! Ok, so what is Miranda going to open with then? Catherine – Kerosene or maybe..
Lizzie – or will she do Highway Vagabond? Maybe. I actually think maybe even Runnin’ Just In Case would be the perfect opener. Catherine – Ooh, Runnin’ Just In Case – that would be amazing, with like a whole big string thing. Happiness ain’t prison but there’s freedom in a broken heart. Lizzie then sings the line. Lizzie – It’s just like…it gives me goosebumps. That’s so funny as I just got chills when you sang that! Lizzie – I know, ha! I can’t talk about shows and Festival season without mentioning Glastonbury. What was that like? It was your second time there, right? Lizzie – Yes, second. I had tonsillitis. Lizzie – The day before, so I was doing a gig literally on penicillin. What is it with British Country acts and Glastonbury – Ben from The Shires nearly missing his show as his girlfriend gave birth and you got ill.
Lizzie – I know, I know, literally crazy – well Ben’s fiancé having a baby was more serious, ha! I was panicking, I was definitely panicking, but it ended up being a really good show and the audience were really good. When the adrenaline kicks in, you forget about it, unless you are so ill you can’t sing. And Chris De Burgh – now that is my childhood right there, he was always played in our house. How was supporting him? What was his show like and his audience? Lizzie – That was really cool. Catherine- Yeah, it was amazing and it was weird because we know his music and he was so kind and friendly to us that we feel like we know him. It was also so cool to go to Germany and do a gig there, as we had never done one there before. Had you not? I hear the audiences over there are pretty great? Catherine – Yeah, they were so attentive, even though all our school German had gone out the window. We could only remember ‘danke schon’ or ‘auf wiedersehen’ or ‘Hallo, wie geht’s?’ – but they were still so interested and great. So, what’s next after all the shows? Lizzie – We are looking forward to getting back in the writing room and writing some more stuff. Any plans to go back to Nashville and write? Catherine – Yeah, hopefully – probably at the end of the summer, just to do a bit of writing -but we haven’t got any plans in place yet. Lizzie – I think there is a plan for sometime in September or October. Tell us about your Material video. You have an interactive one as well as a regular one – but what prompted the idea of the interactive one and were you pleased with it? I think it’s so much fun and such a great idea. Catherine- Well, funnily enough, when we do a sound check at gigs, we always do our parts separately and then we do them together. We always thought it sounded quite weird, our parts on their own, but then they made sense when we sang them together. So when we decided to do a Material music video we thought, why not make it interactive so we can isolate each of our voices and see how it comes together. It was a really long day but so much fun making it, because we couldn’t really understand how it was going to look until it was finished. It was all just a lot of moving around and doing stuff with random props, like my giant knitting needles and a big piece of paper and a fake piano; it was fun. Well it is a great idea, as it is fun and you are never going to get bored with it. How do you decide on who sings what part of a song? Catherine – Very quickly. We never have a problem – it’s very natural, we just say you sing that bit and I’ll sing this bit. Lizzie – Yeah, we swap it very equally too and say do you want to do the first part and I’ll do the harmony? Sometimes if it’s a higher harmony and it builds the song then Catherine does the first verse and I’ll do the harmony. But if it’s a high song, I do the verse and Catherine does the lower harmony. Catherine- It’s all different depending on the songs. What do you both like to do on your days off? What are your hobbies and interests? Lizzie – We love walking the dogs. I love horses – we don’t have horses, but as a hobby I like to ride horses. Catherine – I like to turn on Harry Potter and bake a cake! Catherine – It’s my distress thing. Lizzie loves curling up with a good book when it’s raining and going on big walks when it’s sunny. Lizzie – I love running, I prefer exercise more than Catherine; she is so skinny she doesn’t need exercise! Catherine – I do love the outdoors, but I don’t like exercising, haha! Well, thank you so much for chatting today and I hope you enjoy the rest of the day. Are you going to see Stevie Nicks? Have you seen her around? Catherine – We have seen her dressing room. Catherine – We want to ‘by accident’ bump into her, haha! Haha, well have a fab time and I look forward to your set.